Are you utilising your Subscription benefits? 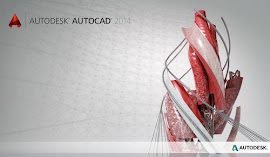 You may not realise just how many resources Autodesk provide via their subscription services. Not only do you get access to a wide variety of product-specific add-ins to increase user workflow and productivity, subscription customers also get access to the Autodesk 360 Cloud. With a Subscription to any Autodesk software product or suite, you’ll enjoy 25GB of storage for any Autodesk file type per seat. The ability to share these files in a instant enables you to increase mobility and simplify collaboration with clients, colleagues, and business partners. Subscription customers can utilize the near infinite computing power of the cloud platform to perform a variety of time consuming tasks, including rendering, design optimization, energy analysis, and structural analysis.